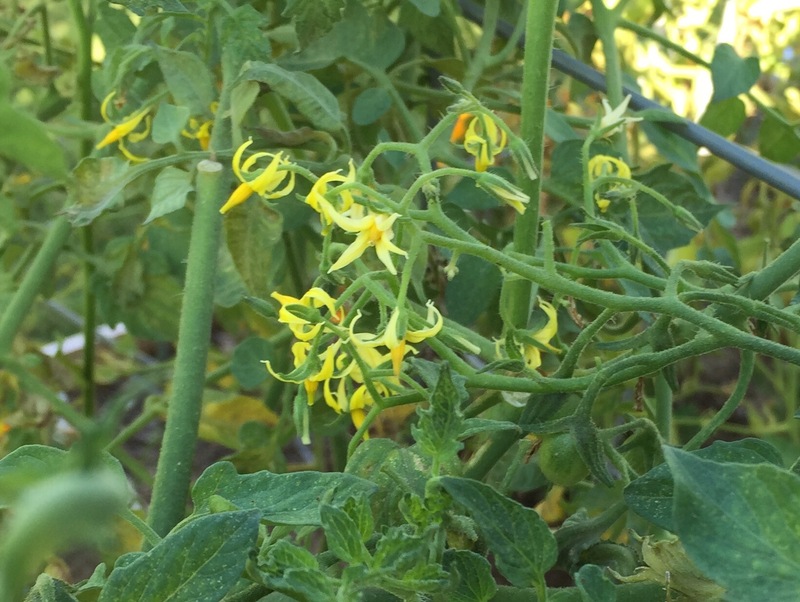 Despite leaf-footed bugs (and crows, I’m thinking now) getting at my big tomatoes, the blossoms just keep coming on my Super Sweet 100s. The cherry tomatoes haven’t produced as many red tomatoes yet as I hoped they would, but all the blossoms give me hope. I might have to find a way to put sime netting up over the tomatoes to keep the crows away. Sure would love a bumper crop of cherry tomatoes! There’s also hope for the flowers in the top tier of my three-tiered bed. 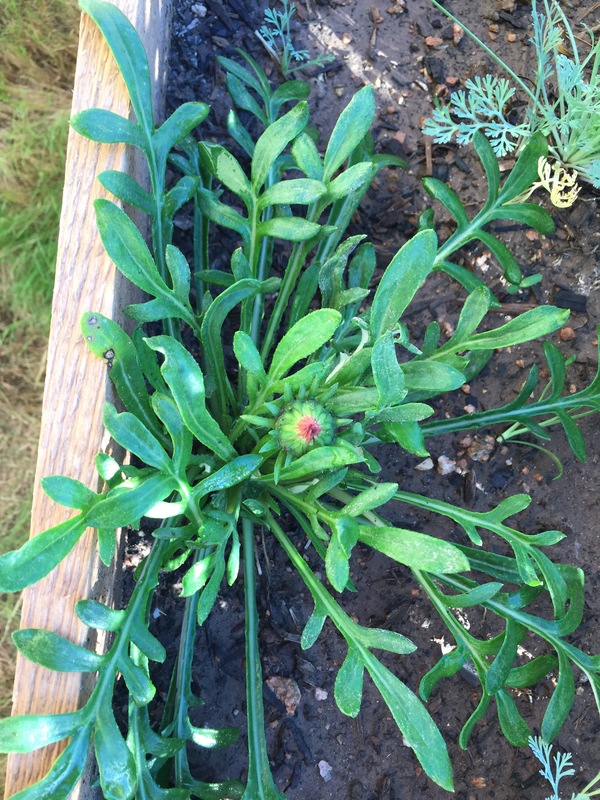 I think these are the gazanias that now have a few buds on them. Can’t wait to see what they look like when they open. 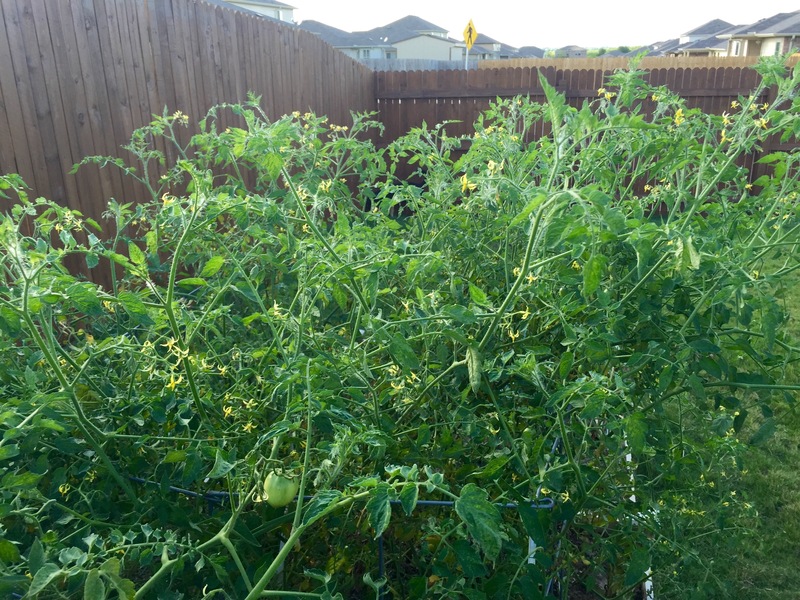 This entry was posted in Gardening and tagged flowers, tomatoes on June 25, 2015 by Julie Riebe. I’m a few weeks ahead of you. I am picking a basket full of fruit every-other day for several weeks now. I am trying really hard not to be sick of tomatoes and peppers and cucumbers, but I’m looking forward to fall already! 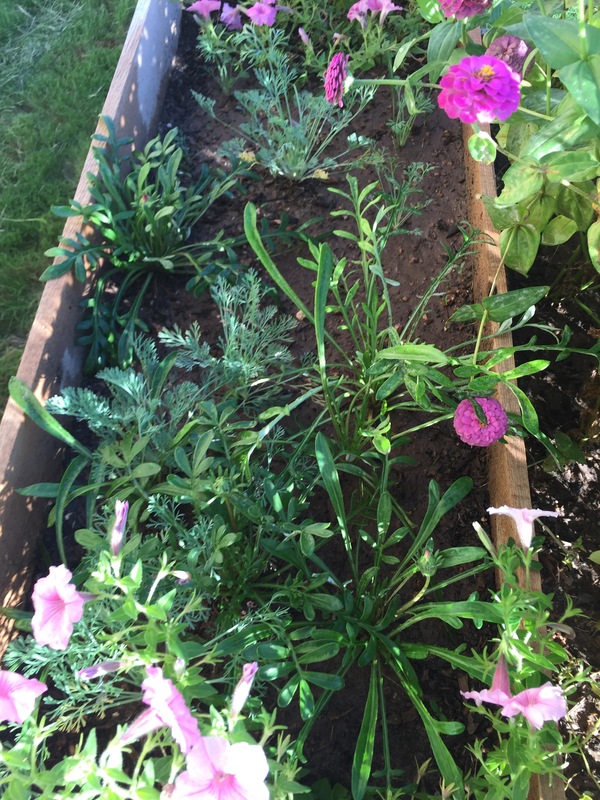 Your vines are looking lush and healthy, Julie. The garden is rockin’. I feel like I should be getting more from the cherries. Sure hope they pick up soon.